Currently only ten to fifteen percent of the ocean floor has been mapped at resolutions of 100-metre pixel size or better and the vast majority of this mapped area is within territorial waters. One way to significantly increase seafloor coverage is to outsource data collection to non-hydrographic vessels or ships of opportunity. However, data currently being collected by these vessels are largely unmanaged, leading to possible redundant coverage and/or inconsistent quality. It is a good idea that the scientific and hydrographic communities make effective use of ships of opportunity in order to optimise data collection in the immense areas in need of mapping in the planet’s remote waters. Three expeditions set sail to collect and image cold-water corals on bathymetric highs for palaeoceanographic and biogeographic research (led by authors Laura F. Robinson and Rhian G. Waller). This research required operation in areas beyond national jurisdiction (ABNJ), where multibeam bathymetry data are sparse. In order to effectively collect scientific samples, maps of the seafloor in higher resolution than the existing altimetry grids were needed. Collection of bathymetric data was ancillary to the primary cruise goals but by optimising opportunistic surveying, 125,300 square kilometres of multibeam data were collected, processed and published. During 2008 and 2011, the RVIB Nathaniel B. Palmer (Figure 1) navigated the Drake Passage, the 500-mile-wide swath of the Southern Ocean between Antarctica and South America, performing scientific operations such as trawling, dredging, coring, and utilising a towed-camera system. Little multibeam bathymetric data were available for cruise planning or operations. Therefore, bathymetric reconnaissance was necessary during the 2008 cruise in order to locate ideal sites for sample collection. In 2011, bathymetry data were collected to add coverage to the maps created in 2008 and to explore new areas. In total, 49,500 square kilometres of seafloor were mapped in the remote Drake Passage (Figure 2). These maps greatly improved upon the existing altimetry data in detail and location, increasing the ability to sample safely and effectively (Figure 3). In 2013, the RRS James Cook (Figure 4) traversed infrequently-travelled areas of the low latitude Atlantic Ocean (Figure 5). Similar to the Nathaniel B. Palmer expeditions, prior available multibeam bathymetric data were scarce in the intended sampling locations. Again, it was necessary to dedicate ship time to mulitbeam surveying to effectively plan scientific operations, such as sampling and diving with a remotely operated vehicle. These surveys yielded 75,750 square kilometres of 100-metre pixel size multibeam bathymetric data. Effective time management and the flexibility to take slightly indirect routes between work sites were key to optimising bathymetry collection during these non-bathymetric-focused expeditions. Minimising the time spent on surveying while maximising the coverage without jeopardising quality were critical elements of survey planning. To maximise the efficiency of all operations, surveying was carried out during gear turn-around, transits to sampling areas, and sub-optimal weather windows. To ensure quality data collection and effective survey planning, trained mapping personnel covering the 24-hour work day were necessary. We found that 2 trained technicians were able to process all of the acquired multibeam data while at sea and produce maps for scientific operations. With careful recruitment, the mapping specialists can contribute to other scientific operations on board, hence maximising their input to the expedition. This is a critical argument for allocating berths, a limited resource during scientific expeditions. The majority of the 125,300 square kilometres of bathymetric data collected during these three cruises were not critical to the primary scientific operations. Data were collected and processed continually, even during transits, throughout each cruise, for the purpose of expanding the available multibeam bathymetric map of the seafloor. Ships operating in these remote waters provide opportunities to collect data necessary for making reliable bathymetric maps required for scientific research. These same maps support commercial exploration and exploitation of seafloor resources and provide a basis for effective marine management. Scientific research today is being carried out across all ocean depths around the world in an effort to understand how our planet works, how humans are impacting it, and to mitigate the effects of hazards such as tsunamis, earthquakes and the effects of climate change. This knowledge is a valuable contribution to ensure safety, to minimise the loss of expensive over-the-side equipment, to ensure the selection of the best sites for the purpose at hand, and for a complete understanding of the environment. Our experience has made us aware of three important issues associated with collection of multibeam bathymetric data in remote waters. First, data collected in remote waters by non-hydrographic vessels vary in quality because they are often unmonitored. Operating procedures and processing techniques vary from ship to ship or even technician to technician. This lack of standardisation could cause inconsistent and unreliable data to be produced. Second, some vessels, although equipped with modern multibeam echo sounders, only collect data for a small fraction of their at-sea time, or do not collect it at all, probably due to lack of funding and personnel and/or lack of knowledge that the data may be of use. Third, international data collected in remote waters might not be shared with the wider scientific community. This lack of sharing promotes redundant data collection, which is a waste of time, money and resources. In order to promote collection of bathymetry by ships of opportunity or non-hydrographic vessels, a system must be in place that efficiently catalogues and makes available the locations of existing data, the quality of that data, and the most effective route for one of these vessels to take. These planned routes must maximise data coverage without increasing transit time. If each time a vessel transited to and from its destination they made slight parallel adjustments to their tracks, then large swaths of seafloor could be mapped over time. If you expand that model to all of the ships of opportunities, think of how efficiently remote areas could be mapped. The goal is for this system to be used by not only hydrographers, but also by scientists and mariners. Therefore, it is critical that this be easy to use and not reliant on expensive software. It is possible to contribute to creating an efficient mapping system by joining the discussion in the Hydro International LinkedIn group. 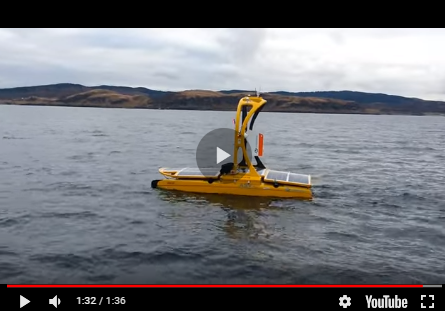 Our experience has shown that it is possible to collect and process large swaths of useful bathymetry during research cruises where collection of bathymetric data is a secondary goal. Having more readily available quality bathymetric data would save both time and money for future scientific expeditions. We believe there is considerable support in the marine science community to standardise and share bathymetric data if it can be done with low cost and without a large impact on the primary operations of the expedition. Clearly, more discussion is needed to develop protocols and international standards that provide a reasonable compromise between efficiency and quality, but the marine science community would be a logical place to begin those discussions. Thanks to our contributing authors: Kathryn M. Scanlon, U.S. Geological Survey, Woods Hole and Dr. Rhian. G Waller, University of Maine, USA. Funding for this project was provided by the European Research Council and the U.S. National Science Foundation.